Dr. Hewlett is a Fellow of the American College of Foot and Ankle Surgeons. As well, he is the Sports Medicine Fellowship Director at the Specialty Surgical Center of Irvine. Prior to his academic education, Dr. Hewlett spent four years traveling the world surfing and studying Viticulture in Australia. Following his return to the states, Dr. Hewlett graduated from the University of California San Diego before going on to Temple University for his Doctor of Podiatric Medicine. After completing his Surgical training, he joined Cambridge Foot and Ankle Associates, Inc. and has been a partner there since 2005. He currently serves as Sports Medicine Fellowship Director at Specialty Surgical Center of Irvine as well as being a member of the Orthopedic Executive Committee at Saint Joseph’s Hospital. 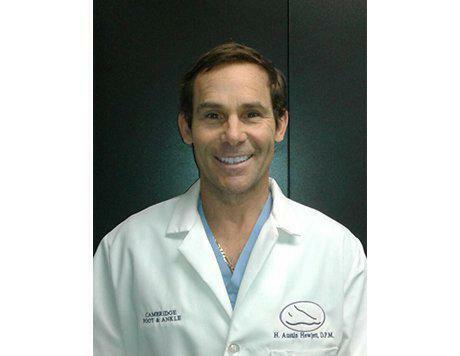 Dr. Hewlett has been serving the Orange County community with compassion for 17 years. This coupled with constant education allows him to offer his patients the highest level of care available.